US State Department allegations concerning Russian violations of the Intermediate-Range Nuclear Forces Treaty (INF Treaty) have focused on the implications of the alleged breach for European security. Nevertheless, it is the modernization of missiles of intermediate-range outside Europe that ultimately will determine if the treaty remains relevant in the 21st century. The military buildup in Asia, specifically the modernization of ballistic missile arsenals, has shifted global missile politics eastward away from central Europe towards Southeast Asia and the Middle East. Either there will be a successful push to multilateralize the INF Treaty or it may fall victim to the kind of revisionism that hastened the end of the Anti-Ballistic Missile Treaty and that stalled the full implementation of the Conventional Armed Forces in Europe Treaty, two other key Cold War arms control agreements. The INF Treaty is a bilateral arms control agreement very much tied to the distribution of military power in Europe during the Cold War. Beginning in the 1950s, both NATO and the Warsaw Pact deployed land-based intermediate-range nuclear missiles in Europe as battlefield weapons to target opposing forces in theatre. The buildup became particularly acute in the late 1970s after the Soviet Union deployed the SS-20 Saber to replace the single-warheaded SS-4 Sandal and the SS-5 Skean missiles, then in service. Unlike the SS-4 and SS-5, the SS-20 was a more accurate, longer-range mobile missile with three independently targetable warheads — a qualitative game-changer for NATO. 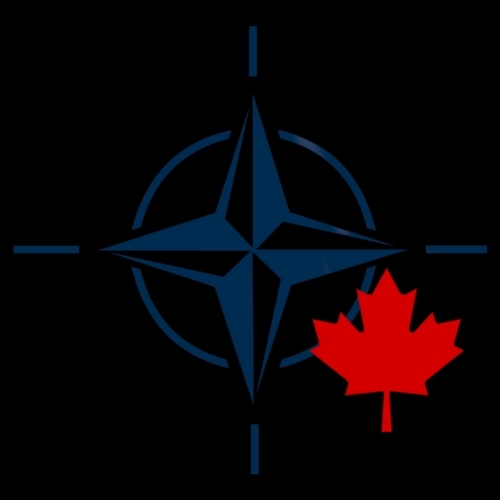 Two years later, NATO responded by modernizing its own theatre nuclear force (TNF) through the deployment of Pershing-IIs and Gryphon ground-launched cruise missiles (GLCMs), which were capable of striking targets in the Soviet Union in a matter of minutes. Two points of contention during the INF Treaty negotiations, namely the treaty’s geographic area of application and its bilateral scope, are emerging today as key challenges to the Treaty’s future. During the negotiations, Soviet desiderata included opposition to both the non-application of the INF Treaty to the French and British, as well as the inclusion of Soviet TNFs in the USSR’s Far East, due to concerns that SS-20s based in the region could be redeployed within range of Western Europe. American negotiators successfully kept French and British missiles out of the negotiations, arguing that these were independent national deterrents, whereas US Pershing II and Gryphon missiles were critical components of NATO’s sub-strategic capability. In the end, Moscow agreed to a global area of treaty application. The removal of SS-20s east of the Urals, however, had implications for the Sino-Soviet military balance, implications not unlike those Russia confronts today. Moscow’s push for equality between all nuclear powers has gained renewed relevance today. 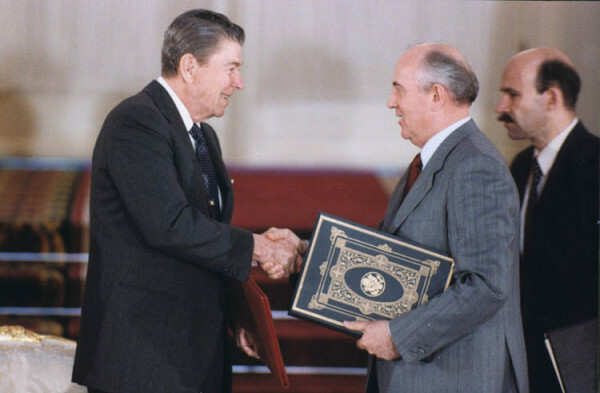 The INF Treaty was the first arms control instrument to eliminate a whole class of missiles, but its provisions only applied to the arsenals of the two signatories. That is why in 2007, on the occasion of the 20th anniversary of the INF Treaty, Russia and the US released a joint statement to the UN General Assembly First Committee noting the “paradoxical situation” that exists in the international system: INF Treaty application is of unlimited duration, but only limits the intermediate-range missiles of two states. The “global zero” scope of the INF Treaty is now a source of anxiety for Russia on account of missile modernization in Asia. In international fora for several years now, Russian officials have signalled their concerns about the bilateral nature of treaty limits on a whole class of weapons. At the 2007 Munich Conference on Security Policy, for example, Vladimir Putin’s speech included references to the Treaty’s lack of “universal character,” noting that North Korea, South Korea, India, Iran, Pakistan and Israel possess missiles that would be outlawed under the terms of the treaty. Undoubtedly the one curious omission here, namely China’s missile capabilities, looms large for Moscow as well. If recent US State Department allegations that Russia tested a GLCM with a range forbidden by the INF Treaty are correct, the weapon is likely part of a long game in Russian missile modernization that has more to do with Asia than it does with the Euro-Atlantic sphere. Although Moscow has become more vocal about broadening the number of INF Treaty signatories, likely due to its geographic proximity to countries producing and testing intermediate-range missiles, the modernization of Asian missilery outside the INF Treaty will become a security challenge for Washington as well. Deployment of such capabilities could make it increasingly dangerous for the US to meet its alliance commitments in East Asia. American commentators have called for the INF Treaty to be modified so that the US can deploy intermediate-range missiles in Asia or jettisoned entirely. In effect, Moscow’s ambivalence about “global zero” in the 1980s may now emerge as a mutual concern of both Moscow and Washington, should private opinion become public policy in the US. There is no guarantee that a push for global limitations on intermediate-range missiles will be successful. Most of the world’s nuclear powers are located in Asia, and several are locked into long-standing territorial disputes. At the same time, both the US and Russia have stakes in Asia, and the status quo on intermediate-range missiles cannot be taken for granted.